Daniel Kaluuya has a few words for Samuel L. Jackson about being black. 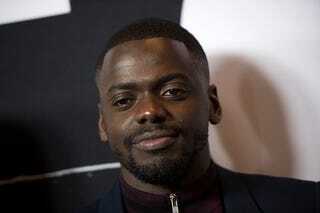 Last week Jackson questioned why Kaluuya, a British actor, was cast in Get Out, a movie that tackles race in the U.S., instead of an African-American actor, and said the role would have resonated more with an African-American actor. Kaluuya also explained that black people in the United Kingdom also deal with racism and it’s a universal issue, and there are few stories out there that tell of their own experiences. “I really respect African-American people. I just want to tell black stories,” Kaluuya said. “This is the frustrating thing, bro—in order to prove that I can play this role, I have to open up about the trauma that I’ve experienced as a black person. I have to show off my struggle so that people accept that I’m black. Jackson later clarified his comments and said that he wasn’t blaming Kaluuya, but the Hollywood system that seemingly shuts out African-American actors in favor of their British counterparts. “It was not a slam against them, but it was just a comment about how Hollywood works in an interesting sort of way sometimes,” Jackson told the Associated Press. “We’re not afforded that same luxury, but that’s fine; we have plenty of opportunities to work,” he added.